When a season’s 162 games long, the last few weeks can feel something like an unnecessary formality. The large majority of the league can’t make the playoffs, and plenty of matchups resemble two teams begrudgingly shuffling their feet down a winding path toward next season. Amid the overwhelming dreariness, the few late-season surges can get swallowed up. Every year, a handful of teams put together second-half runs that don’t necessarily affect the club’s immediate prospects but increase expectations once we start talking about next year. So this week, we look at four teams that have been rallying while the rest of the league loses steam. The Marlins and Mariners came into the season as popular preseason picks, and after extinguishing any 2015 hope rather quickly, each side has already begun to raise optimism for 2016 and beyond. As for clubs with playoff prospects, the Angels have heated up in September, thrusting themselves into the race for the American League’s second wild-card spot. And while the Pirates started the season slowly, they took off in late May, crushed opponents thereafter, just secured their third straight playoff berth, and could still wrest first place from the Cardinals. Save the best for last. It’s Week 25 of The 30. We chronicled Jeff Samardzija’s problems as a White Sock a few weeks ago. In a nutshell: He’s pitched poorly for most of the season and the leaky defense behind him has only made things worse. In his September 15 start against the A’s, he posted the following line: three innings, 11 hits, 10 runs, 91 pitches, 23 batters faced. That’s what made his performance last Monday against the Tigers so remarkable. For the first four innings, Samardzija was perfect, retiring 12 straight. Victor Martinez broke up that early bid for perfection to start the fifth, but Samardzija was flawless for the rest of the game. His final line: nine innings, one hit, zero runs, 88 pitches, 28 batters faced. Granted, the Tigers trotted out something close to a spring training lineup. Still, given everything that’s happened in Samardzija’s walk year before free agency, this start was a shocker. After last year’s sparkling 2.99 ERA, the Shark owns a brutal 5.04 ERA this season — even after last week’s, dare we say, Madduxian performance. Created by Jason Lukehart, a Maddux gets awarded any time a pitcher throws a complete-game shutout in fewer than 100 pitches. 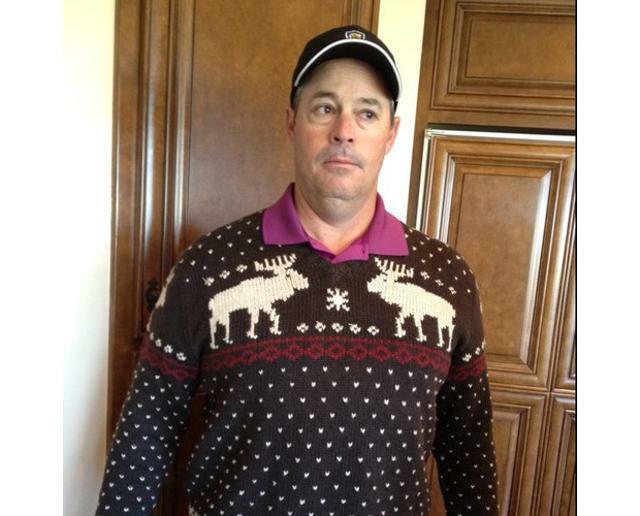 It’s the pinnacle of dominance mixed with efficiency, the hallmark of Greg Maddux’s incredible career. Lukehart hasn’t yet coined a term for what Samardzija achieved in just 88 pitches, but no other pitcher has tossed a complete-game shutout using 88 or fewer pitches this year. Only nine pitchers have done that since 2010, and only 53 have done it since 1988, the first year in Lukehart’s database. The leader with four Madduxes each of 88 pitches or fewer is, of course, Maddux himself. So put on your favorite festive sweater and tip your cap. For one day, Samardzija dialed up his old, dominant self and pitched like a baseball immortal. Late-season runs by Christian Yelich and Marcell Ozuna could bode well for better tidings in 2016. Coming into this season, two teams could make a great case for the title of “best young outfield in baseball.” With former MVP Andrew McCutchen, budding star Starling Marte, and the developing Gregory Polanco, the Pirates were a strong choice. But with superstar slugger Giancarlo Stanton, plus the impressive duo of Christian Yelich and Marcell Ozuna, the Marlins could make a convincing argument for the crown, too. Fast-forward six months, and the Pirates clearly have the best outfield in the game. As for Miami: While Stanton should return from his hand injury ready to mash in the spring, Yelich and Ozuna have both had tumultuous seasons. Yelich opened this season in a deep funk. Over his first 11 games, he looked weak at the plate, opening with a line of .200/.265/.222 and just one extra-base hit in 49 plate appearances. It turned out he was playing with a lower-back strain, which grew so painful that he hopped on the disabled list for two weeks. He didn’t look much better after returning from the DL on May 8, though, batting an ugly .223/.286/.301 over the next month. Then just like that, everything started to click again. Since June 9, Yelich is batting .327/.392/.464, numbers that would place him third in the National League in batting average and fifth in on-base percentage if spread over this entire season. When healthy, he’s a prolific line-drive hitter who’ll rack up a ton of singles and doubles. Now, you might see Yelich’s .355 batting average on balls in play this season and suspect that he’s propping up his results with a heavy dose of luck. But Yelich posted a .356 BABIP last year, too. He makes his living by slapping line drives and well-placed ground balls all over the field. Yelich has the lowest fly ball rate (by far) in the league this year and had the second lowest in 2014. Just 23 years old and still filling out, Yelich doesn’t possess overwhelming power, and he never might given those tiny fly ball rates; he’s cracked just seven homers this year. But watch his level swing and opposite-field-obsessed approach, and you can see more than a little Tony Gwynn and Ichiro Suzuki in the youngster. Given that he’s signed through 2021 (with an option for 2022), all of this bodes well for Miami’s future. Coming into this season, Ozuna also figured to be a big part of that future. In 2014, his first full big league campaign, Ozuna batted .269/.317/.455, numbers that were 15 percent better than league average after adjusting for Marlins Park’s pitching-friendly confines. Ozuna also smacked 23 homers, played better-than-average defense, and produced nearly 4 Wins Above Replacement in 153 games, finishing ahead of stalwarts like Matt Holliday and Adrian Gonzalez in that department. This season, he’s struggled badly. Through his first 79 games, Ozuna batted just .249/.301/.337 with four homers, and he also suffered a sudden, hard-to-explain decline in his defense.1 Even after those struggles, what came next was a surprise: The Marlins sent Ozuna to the minors. While a short stint at Triple-A for a 24-year-old still working to refine his skills might not be a terrible idea, Ozuna’s six-week demotion set both his arbitration and free-agency clocks back a year, a perfectly legal but still unsightly move by owner Jeffrey Loria. A few days after the demotion, ESPN’s Buster Olney reported that the Marlins were open to the idea of trading Ozuna. But shopping Ozuna then or this winter would be selling low on a player just one year removed from a big season and with potential for further improvement. Though he’s not quite setting the world on fire, Ozuna’s .261/.316/.443 line over the past 30 days points to a player starting to regain his stroke. In Miami, the hope is Stanton, Yelich, and Ozuna all return in Marlins uniforms on Opening Day next year, and that Jose Fernandez can pitch a complete season now that he’s back and fully recovered from Tommy John surgery. Unfortunately, as evidenced by the Ozuna situation, none of that is a sure thing. As good as the Fish have been at developing exciting prospects over the years, they’ve been even better at getting in their own way. The Mariners should shift away from one-dimensional sluggers as they try to reload. Over the weekend, the Mariners ran into a hot Angels team that cooled down what had been a strong September in Seattle. Still, the M’s sit at 13-11 this month, an improvement over the rest of their disappointing season. For that, they can thank an offense that’s suddenly mashing. Two of the players most responsible for that surge are Kyle Seager, one of the best all-around third basemen in the game who’s in the midst of a monstrous final month, and Robinson Cano, who’s shaken off early-season injuries and off-field issues and reverted to vintage Cano form since July 1. But while Seager and Cano are core players signed into the next decade, one of the Mariners’ other top recent performers embodies a dilemma created during the end of Jack Zduriencik’s run as the team’s GM: Is there room in Seattle for players like Mark Trumbo? Last month, I wrote about the Mariners’ failure to develop quality prospects into successful major leaguers. That failure left Seattle with multiple lineup holes that required filling. In acquiring Cano, the M’s sought out a player with across-the-board skills: an ability to hit for power, solid contact skills, and playable defense at a premium position. Of course, contributors of Cano’s caliber are hard to find, and that forced the Mariners to fill other spots with flawed players. What those players’ flaws and strengths would be was up to Zduriencik. The kind of player Zduriencik pursued was a big, strong slugger who offset his big league power with iffy on-base skills, lousy defense, or both. Here’s a list of players acquired by Zduriencik who fit that mold: Raul Ibanez, Mike Morse, Jesus Montero, Miguel Olivo, Corey Hart, Russell Branyan, Kelly Shoppach, Carlos Peguero, Alex Liddi, Matt Tuiasosopo, Stefen Romero, Greg Halman, Rickie Weeks, and the immortal Wily Mo Pena. So far, Nelson Cruz’s Mariners career has worked out better than anyone could have imagined — he’s leading MLB with 43 homers — but the 35-year-old slugger is the exception to the rule. All of which brings us to Trumbo. When the Mariners’ season already started to circle the drain eight weeks in, Zduriencik made his move, dealing four players to Arizona for Trumbo and left-hander Vidal Nuno on June 3. Over his first month in Seattle, Trumbo batted .146/.176/.195, along with 24 strikeouts, one homer, and just three walks in 85 plate appearances. This is the nightmare scenario for slow-footed sluggers with big holes in their swings: extended stretches in which the power’s not there, with the player having no other skills to fall back on. Even worse: Catcher Welington Castillo, one of the four players shipped to the desert, became a power-hitting fixture in the Diamondbacks lineup, batting .258/.320/.512 with 17 homers in 75 games since the trade. The good news for the M’s is that Trumbo’s come alive since that sluggish first month, batting .299/.356/.489. Then again, this might be good news only if the M’s cash him in. Trumbo’s still striking out three times more often than he’s walked since July 4, and he lacks the batted-ball skills to suggest that anything close to his .367 batting average on balls in play during this hot streak is sustainable over the long haul.2 Whoever takes over as the team’s new GM should look to dangle Trumbo’s 30-homer potential to any team that would offer anything remotely decent in exchange for his (likely overpriced) year before free agency. However, the more important factor will be how the new GM handles the idea of someone with Trumbo’s skill set. Even with the fences moved in, Safeco Field still very much plays like a spacious pitchers’ park that suppresses home runs and is particularly tough on right-handed power hitters. Leaving aside superstars like Edgar Martinez, the prototypical player for Safeco Field remains someone like peak Mike Cameron. At the height of his powers, the former M’s center fielder hit for a mediocre average and struck out a bunch, driving down his price tag and thus becoming more affordable for a mid-market club like Seattle. But Cameron more than made up for those deficiencies with stellar defense, tons of walks, good speed, and great athleticism. For whomever ends up in charge, these would be three good starting points: (1) seeking out players with more diverse talents, (2) not obsessing over power just because your team plays in a park that can make home runs more challenging, and (3) developing more quality young pitchers to complement Felix Hernandez. But as long as the new guy does something different than the Zduriencik home-run-chasing plan, he’ll already have a leg up on his predecessor. A pair of Michaels of differing notability helps push the Angels back into playoff contention. The immediate explanation for the Angels’ surge that’s fueled a 16-8 September record and revived their wild-card chances is obvious: Mike Trout. Remember the wrist injury that knocked him out for a couple of games in late July and seemed responsible for an August slump that had him hitting like a third-tier player? That’s ancient history, thanks to a sizzling September in which he’s hit like, well, Mike Trout. When considering the season as a whole, we can conclude that Josh Donaldson’s probably going to win the AL MVP award, both because he’s put up tremendous numbers and because he helped lead the Jays to their first playoff berth in 22 years. But if we’re going to nitpick a race that’s really close, Donaldson gained advantages in counting stats like RBIs and runs largely because he plays for a much better offensive team: He’s had more opportunities to drive in runs and get driven in, and he’s also racking up more at-bats because the Jays more frequently turn their lineup over during games. Meanwhile, Trout’s been the better hitter (and the best in the American League) on a park-adjusted basis, and he’s played his usual strong (and occasionally superhuman) defense. (To be fair, Donaldson’s been great in the field, as well.) And while I don’t sweat team success when considering MVP candidates, there’s also this: The Angels are suddenly in pretty good position to barge into the postseason. In addition to Trout, the Angels are getting big contributions from an anonymous relief pitcher who spent a chunk of the season in the minors, revamped his repertoire, and emerged as a bacon-saving bullpen dynamo. The Angels tapped University of North Carolina prospect Mike Morin in the 13th round of the 2012 draft. He struggled in his first season at rookie ball, then tore up the California and Texas leagues the next season, whiffing 76 batters (with just 10 walks) in 70 innings while serving as a closer in Class A and Double-A. His 2014 big league debut was also strong: 59 innings, 54 strikeouts, 19 walks, three homers, and a 2.90 ERA. As for the start of this season? Not quite. Though his first 20 appearances, he posted a 6.00 ERA. Then he hurt his oblique and sat on the disabled list for five and a half weeks. Then he came back, put up a 10.13 ERA over his next nine outings, and got sent to Triple-A. Pitching at Salt Lake City, Morin struggled some more, giving up 14 runs and 25 hits in 17.1 innings. Still, the Angels learned something while Morin toiled in the minors. As one high-ranking Angels source told me, the more Morin threw his changeup while at Salt Lake City, the better he looked. Morin had thrown his change a fair bit in the majors this year (32 percent of the time) before getting demoted, but the organization suggested he ramp up his usage even more. So when the Angels recalled Morin when rosters expanded on September 1, the right-hander vowed to make the change his dominant pitch. It’s worked like a charm. In 14 appearances covering 11 innings, Morin has allowed just one run and four hits, walking one and striking out 17. In September, he’s firing changeups 46 percent of the time, and opponents are batting just .0453 in at-bats ending with changeups.4 With two starters running on fumes5 and another being no. 6 starter Nick Tropeano, the Angels needed a shutdown option in the middle innings. Morin has filled the role beautifully. Wednesday’s game against the Astros summed up Morin’s sudden impact on the club. Tropeano needed 97 pitches to get through 4.1 innings, leaving the game up 3-1, but with runners on first and third and just one out. Morin set down the next five batters without allowing a ball out of the infield.6 Those outs proved crucial, as the Angels went on to win the game 6-5. Now, Morin will be called upon to fill a different role. With closer Huston Street likely out for the year with a groin injury and top setup man Joe Smith out until at least the playoffs with a sprained ankle, a passel of lesser-known relievers will be given higher-visibility roles. Rookie Trevor Gott and veteran right-hander Fernando Salas will likely hold down the closer and top setup roles, in one order or the other. That’ll allow Morin to become the high-leverage guy in seventh and possibly eighth innings, using his deadly changeup to set the table before the end of games. With the Angels just a half-game behind Houston heading into this final week, even the tiniest edge could be enough. An overlooked deadline acquisition has fortified an already strong Pirates pitching staff and kept Pittsburgh in the NL Central race. You’ve heard this one before: The Pirates start the season slowly, leaving fans to wonder if the preseason optimism surrounding the team might’ve been unwarranted. They hit their lowest point of the season on May 20. Then they take flight, plowing through the competition, surging toward the postseason, and finally clinching a playoff spot on September 23. This season marked the second straight year the Bucs hit their lowest point on that late-May date, and the third straight year they clinched on that exact date in late September. Since May 20, they’re 38 games over .500. They’ve won eight of their past 10, pulling to within three games of first place. With one week to go, they have a chance to run down the Cardinals, a team that has sat in first place for all but eight days and could be on its way to 100 wins. A lockdown performance by their pitchers is one of the biggest reasons. Over the past month, by fielding-independent numbers, no pitching staff has been better than the Pirates. That success starts with Gerrit Cole. In his third big league season, the Pirates ace has broken out in big way, posting a 2.60 ERA and 2.61 FIP, striking out 4.5 times more batters than he’s walked, and eclipsing the 200-inning mark for the first time. In many other seasons, those numbers, combined with potentially finishing the year with 19 wins, might make him the front-runner for the NL Cy Young award — but he’ll probably finish fourth in this pitching-spoiled year. What’s more, he’s picked up the pace in his past seven starts: 45.2 innings, 46 strikeouts, nine walks, one home run, a 2.56 ERA, and an opponents’ line of just .207/.250/.268. What will make the Buccos especially scary come October, though, is the pitching depth they have behind Cole. Francisco Liriano’s first contract with the Pirates was highway robbery: two years for $9 million,7 with Liriano making 55 starts and yielding a 3.20 ERA in those 2013 and 2014 seasons. Last winter, Pittsburgh rewarded Liriano with a three-year, $39 million extension that looked closer to market value; he’s making that deal look like a bargain, too. In his healthiest season as a Pirate, Liriano has made 30 starts, tossed 181.2 innings, allowed just 148 hits, struck out 200, and delivered a 3.27 ERA. His slider, already filthy in his first two seasons in Pittsburgh, has become absolutely terrifying: Opponents are batting a microscopic .120 against it this year. After Liriano, no one would have expected J.A. Happ to seize the role of third starter, but he’s unquestionably earned that status. After A.J. Burnett hit the disabled list, Happ was acquired on July 31 from Seattle in a seemingly minor deal for fringe minor league pitcher Adrian Sampson. Since moving to his new team, Happ has blown away Johnny Cueto, Scott Kazmir, Carlos Gomez, and other far-more-hyped deadline pickups. In nine starts with the Bucs, Happ has fired 51.1 innings, struck out 58 (! ), walked 10, allowed just three homers, and served up a terrific 2.28 ERA. That combination of huge strikeout rate and great command is unprecedented in his nine-year major league career. With the Mariners this season, Happ fanned 6.8 batters per nine innings and produced a strikeout-to-walk ratio just shy of 3-to-1. With the Pirates, it has been 10.2 strikeouts per nine, and nearly six K’s for every walk. On September 11, Jeff Sullivan of FanGraphs documented three factors that had helped Happ improve his performance after arriving in Pittsburgh: more fastballs, more strikes, and a weak schedule. Since then, Happ has made two starts against tougher offenses (against the Cubs at home, and against the Rockies at the horror show that is Coors Field), and he did struggle a bit in those games, allowing five runs on 15 hits in 11 innings. The good news is that Happ’s attack-the-strike-zone-with-heaters approach still yielded good command numbers in those games: 16 strikeouts and just three walks. Credit both skilled Pirates pitching coach Ray Searage and Happ himself for the change. The bottom line is that Happ’s sample size with the Pirates has grown large enough that we can now start to believe that his big whiff numbers might be for real, and that he could be an excellent no. 3 option in the playoffs. With Burnett posting so-so results in the four starts since his return from the DL earlier this month — in addition to three awful late-July starts before hitting the disabled list — Happ offers an excellent alternative if the Pirates don’t feel comfortable with their 38-year-old warhorse. Of course, having strong no. 2 and no. 3 starters doesn’t mean much in a one-game showdown, which is what the Pirates currently face — against Cy Young favorite Jake Arrieta and the loaded Cubs, no less — unless they can catch St. Louis. The schedule gods will grant them a chance to do that: Pittsburgh opens a three-game set against the Cards tonight at home, then ends the season with three more at home against the dreadful Reds. If the Pirates do find a way to top the Cardinals, look out. Armed with that impressive top three (plus Burnett likely in the fourth spot as needed), arguably the deepest bullpen in the league, that all-world outfield led by McCutchen, a shift-happy defense that again ranks near the top of the league,8 and home-field advantage through the NL playoffs if they pass the Cards,9 there could be a whole lot of Jolly Roger–raising in October. Per Baseball Info Solutions, Ozuna ranked ninth among major league center fielders in Defensive Runs Saved last year. This season? He’s 21st. Trumbo’s career BABIP is .289. Going 1-for-22 with 10 strikeouts. Overall he’s thrown 59 changeups this month, generating swings on 37 of them, with 18 of those 37 being whiffs. Hector Santiago has pitched more than five innings just twice in his past seven starts, and Jered Weaver’s given up five runs or more in three of his past seven. Morin did allow one of Tropeano’s inherited runners to score on a groundout. The Bucs bought low on Liriano after a lousy 2012 campaign, with only one year guaranteed at $1 million, plus an $8 million club option for 2014 that Pittsburgh gladly exercised after his strong 2013 showing. Fourth in the NL in Defensive Runs Saved, per Baseball Info Solutions. The Pirates are 50-25 at home this year, trailing only the Cardinals for best home winning percentage.